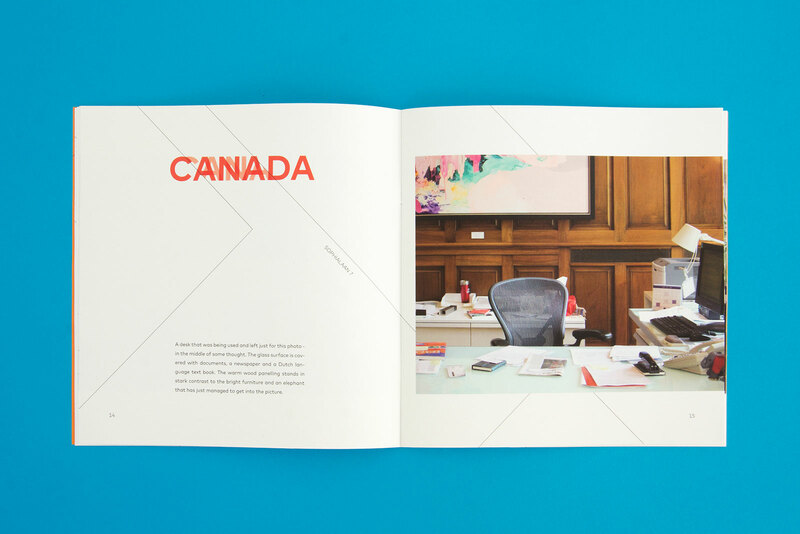 Embassies and consulates are mysterious. You cannot just walk in. They are usually surrounded by fences, heavy locks, cameras and guards. 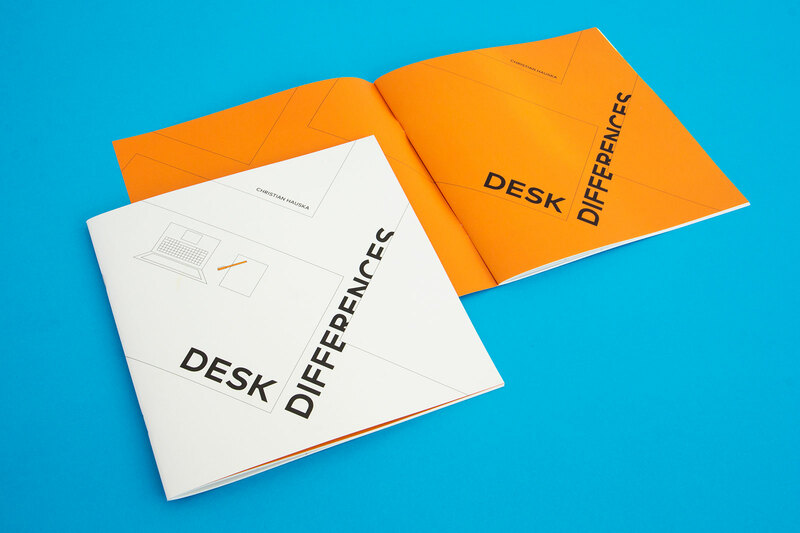 "Desk Differences" provides insights into these buildings. 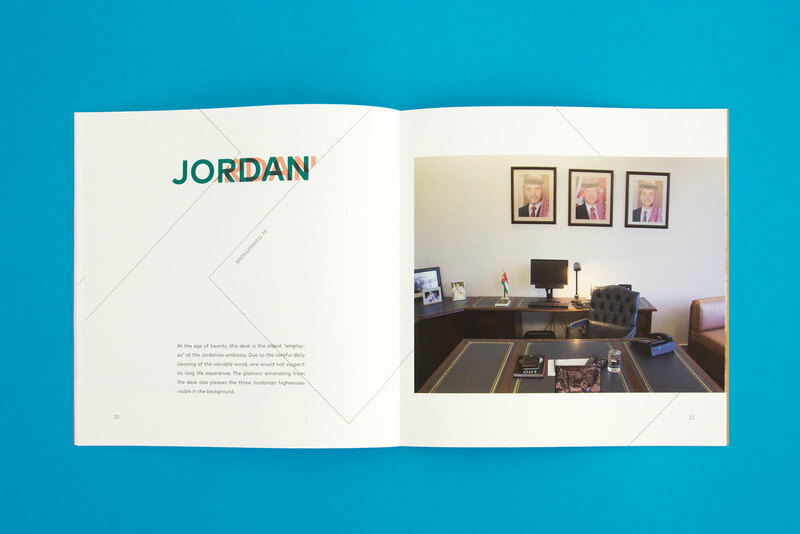 The photographs of the ambassador's office and especially their desks tell something about the country, the person or the history of the furniture. 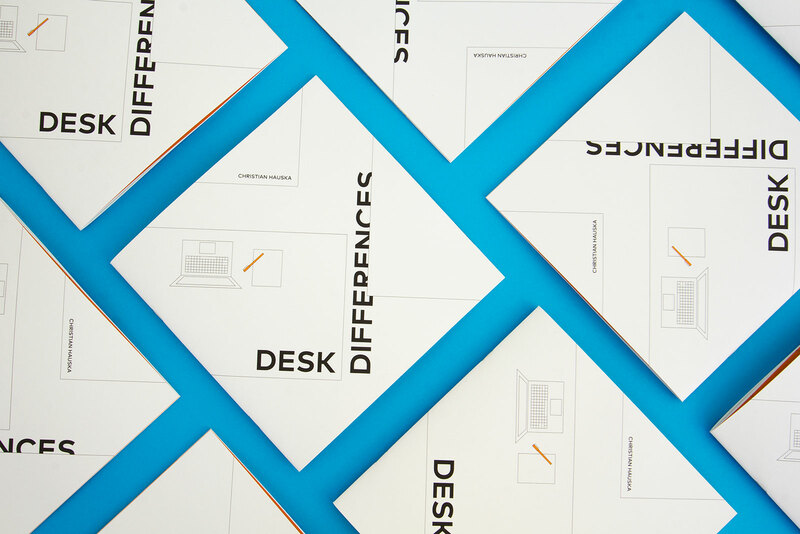 The simple design of rectangles illustrates the different desks. 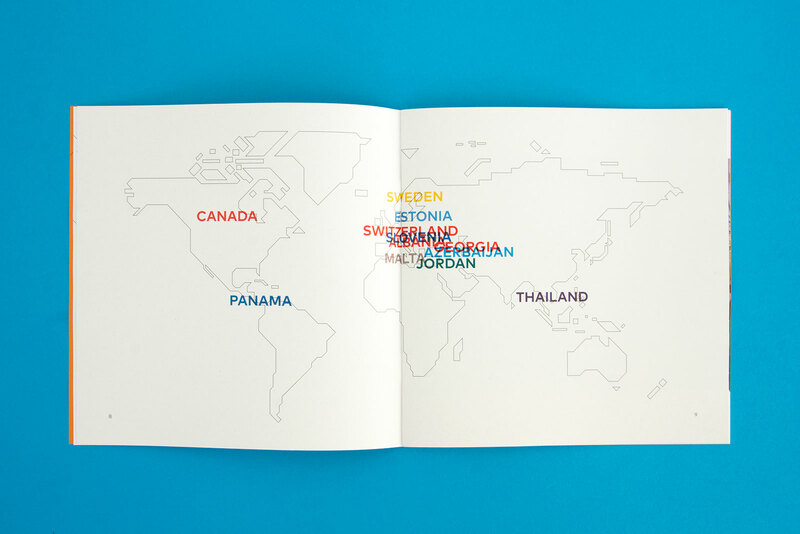 The colours of the country names reflect the national flags.